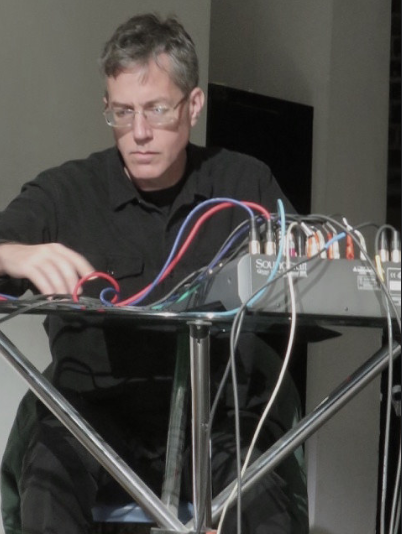 Jon Leidecker aka Wobbly is a San Franciscobased musician/composer of experimental electronic music Member of the multimedia collective Negativland. Jon Leidecker has been engaged with the medium of electronic music since the mid 1980's, performing in collaboration with others and appearing solo under the unchosen pseudonym 'Wobbly', with an emphasis on live performance and improvisation. Early works utilized sonic collage & musical appropriation, growing out of a series of appearances on Negativland's live-mix radio program Over The Edge -- improvising with recorded sounds to produce music which inherently resists the act of being recorded. Recent work investigates the history and musical aesthetics implied by the physics of acoustic and electrical feedback, research into the technology and creative workflow required for immersive sound diffusion (including five years of work as a member of the engineering team for Dolby's 3D sound format Atmos), and the use of mobile devices and their built-in microphones as cybernetic improvising partners. In 2008, the Museum of Contemporary Art in Barcelona commissioned the podcast 'Variations', a nine hour musicological tour through the history of collage & the practice of 'sampling' through the 20th century -- charting how the definition of composition changed, as the site of the 'finished work' migrated from written musical notation to the capturable (and increasingly manipulable) sonic recording. Wobbly's live and studio collaborations include work with Negativland, Dieter Moebius, Tim Story, Matmos, People Like Us, Fred Frith, Zeena Parkins, Carl Stone, John Oswald, Thomas Dimuzio, Huun-Huur-Tu, and Sagan. In 2015 he inherited Negativland's long-running Over The Edge radio collage program, which continues to be broadcast twice a month on Berkeley's KPFA FM.